This August, we're offering not one, not two, not three but four consecutive weeks of playing, learning, connecting and laughing and YOU get to choose however many weeks you want to attend! Discounts available for attending multiple weeks. * Please note: you need to have completed Holly's Introduction To Clowning weekend to attend any of the summer schools EXCEPT Physical Theatre with Dominique, which is open to everyone. We're really excited to be joining forces with guest teacher Dominique Fester to offer a treasure chest of performance jewels and tools. We're hoping to gather a core group of students who will travel the full journey through these four vital areas of performance, whilst welcoming in ad hoc students who will hop on and off the Summer School bus for a week or two throughout August. Cost: Each week has a standard rate / low income and no income rate. There is a discount available for booking multiple weeks. All four weeks - £300 discount: £1100 std / £1000 low income / £900 no income. 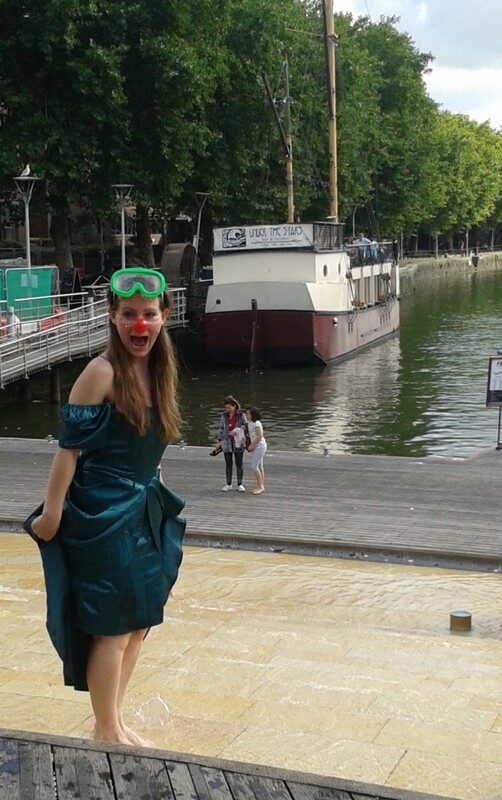 This 5-day course builds on Holly’s Introduction to Clowning Weekend, offering participants opportunities to drop deeper into the state of clown, exploring ever riskier realms of interactive clown improvisation. More info and application form here. To read about what happened on last Summer’s 5-day Clown School click here. Discover theatre beyond words and engage with your body to create compelling physical theatre. Come and saturate yourself with stories, exploring non-verbal, improvised and autobiographical comic storytelling. Read more about Comic Storytelling and find links to the application form here. We look forwards to receiving your application! Deadline 7th June 2019.